He laughed again, as if the fact that I was Dutch were the punchline of some universal joke that I was completely oblivious to. I was perplexed and I think my baffled expression communicated this confusion quite well. “You like that weird freaky stuff,” he grinned, prompting me with his raised eyebrows. I looked over at my wife, which was, according to him, another admission of guilt. He crowed with pleasure and then proceeded to lay out some more obtuse comments about my alleged sexual and narcotic proclivities. The older Dutch stereotypes are easier to take. I don’t mind being labelled as miserly, stubborn, mule-headed, practical, economical, disciplined, blunt, or even slightly stupid. Being labelled a pharmaceutically-plastered pervert is a littler harder to take. The disturbingly gross Dutch villain from the movie Austin Powers: Goldmember is, in all likelihood, partly to blame for the reinforcement of the modern Dutch stereotype. Fortunately, I did not have to explain to this all-knowing fellow that I do not eat my own skin. Cruel stereotypes are quite effective in rousing public support for campaigns against one’s national enemies. These stereotypes might inspire fear, rage, or contempt, but any way they’re used they can help raise the necessary fighting men to fend off the enemy. From the crazed Muslim terrorists in Back to the Future and True Lies to the cruel Krauts supposedly nailing babies to church doors in Belgium there have been attempts throughout history to dehumanize the enemy. The Dutch had a formidable empire. 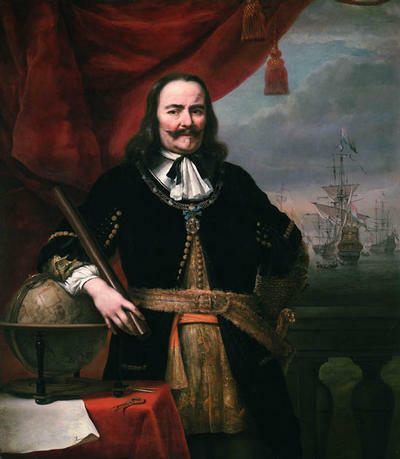 The only reason the Dutch haven’t dealt with the same post-colonial fallout and white guilt that the British have is because the British took over most of the Dutch possessions. Plus, the Dutch like to think of themselves as tolerant (this is called self-stereotyping) and the slave-trade and the exploitation of Indonesian labour doesn’t fit well into this equation. 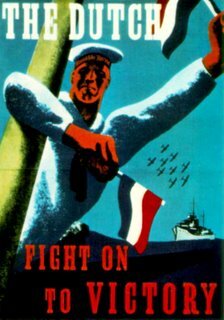 So, the Dutch and the British hated each other because they both wanted to control the sea routes from the East Indies. Three wars were fought between the British and Dutch between 1652 and 1674. 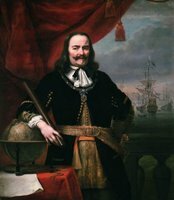 In May of 1667 the indomitable Admiral De Ruyter sailed up the Medway, wrought havoc on the British ships, and blockaded the Thames. And thusly did the Dutch defeat the poor British. As if being the excrement of the epitome of evil isn’t bad enough, a British pamphlet (The Dutch Boare Dissected, 1665) from the same period read “A Dutchman is a Lusty, Fat, Two-legged Cheese worm. A Creature that is so addicted to eating butter, drinking fat, and sliding (skating) that all the world knows him for a slippery fellow.” Not only that, but the Dutchman “loves to be down in the Dirt, and Boare-like, to wallow therein.” It was during this time, when the Dutchman was still a slippery dirt-wallowing cheese worm, that a number of new phrases entered the English idiom. Dutch courage is the bravery one gains after drinking alcohol. This implies, of course, that the Dutch are not only drunkards, but that their courage is also sorely lacking. A Dutch bargain is a bargain settled over drinks. A Dutch headache is a hangover. A Dutchman’s draught is a big swig of alcohol. Dutch gold is brass, because the Dutch are too frugal to use real gold. Dutch comfort is cold comfort because, you know, things could be worse. A Dutch concert is badly played music because the Dutch are apparently lacking in that department. Dutch talent is the more the result of mistaken brawn than actual skill. Going Dutch or a Dutch Treat refers to both parties paying separately for a date. Double Dutch is writing or conversation that is as garbled and incomprehensible as the Dutch language (or it can be the use of two jumping ropes simultaneously in opposite directions). Dutch generosity is stinginess. Before the Dutch were eclipsed by the French as the hated enemy, they were the original frogs. As swamp-dwelling men it made sense to call the Dutch frogs. In a 1672 anti-Dutch satirical cartoon, the Netherlands is portrayed as a huge horse dropping on which maggots feed and eventually grow into full-grown Dutch frogs. In this cartoon a frog dressed in military regalia begs the devil “Sweet little Devill thou shall't h ear my prayer/ A poor distressed Froglander to spare.” The French certainly ate frogs, but the Dutch were frogs. Considering the trimness of most of the modern Dutch, the depiction of Dutchmen as fat frogs in many early modern cartoons is quite humourous. John Arbuthnot’s 1712 polemic The History of John Bull argued that the natural enemies of the English were the Dutch rather than the French. While the Englishman (John Bull) is “an honest plain-dealing fellow, Cholerick, Bold, and of a very unconstant Temper,” the Dutchman (Nic Frog) is “a cunning sly Whoreson, quite the reverse of John in many particulars; Covetous, Frugal; minded domestick affairs; would pine his belly to save his Pocket, never lost a Farthing to careless servants, or bad debtors.” The Dutchman dwells in “a marshy soil and unwholesome Air, infested with Fogs and Damps.” In The Embarrassment of Riches, Simon Schama writes “It was only in the eighteenth century, when France rather than the [Dutch] Republic had established itself as a major naval adversary of the British, that their satires turned to eaters, rather than imitators of the frog, for stock abuse” (264). Perhaps I should have turned to my antagonist and given him a good old fashioned Dutch rub. 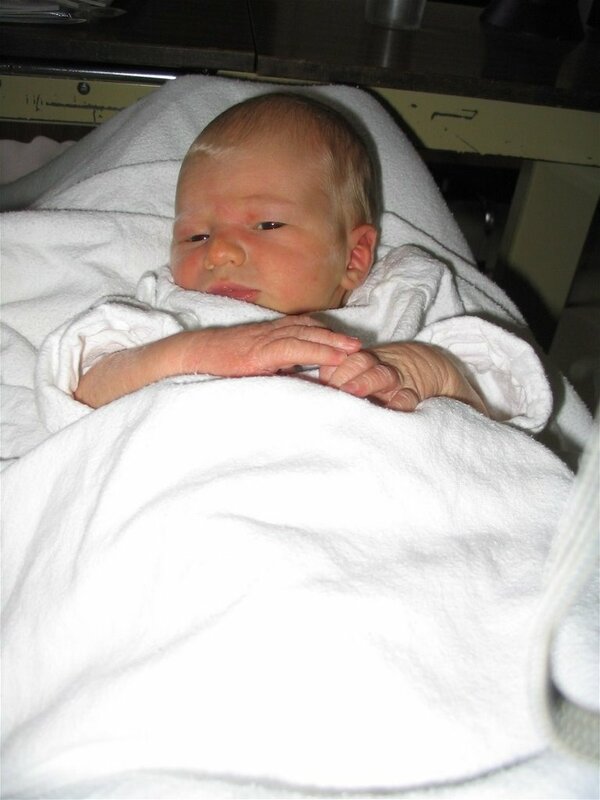 As Karen and I discussed this week - with seven aunts, three uncles, four grandparents, and absolutely no rivals, there can only be one conclusion: this kid is going to get spoiled. How long will it take for the Conservatives to stop referring to the inadequacies of the previous government and start focussing on their own game plan? I mean, it's a bit like a student who brags about his C- because it isn't a D.
Also, if this new "Clean Air Act" is any indication, the government is like an Olympic high jumper who is aiming to beat the Sicilian record. Because, you know, if you aim low enough, you're bound to reach your target. The most respected and most-watched current affairs program on Canadian television, W-FIVE returns for a new season of hard-hitting investigative reporting. The new season launches with an update on the disturbing cross-country investigation of U-Haul trucks followed by a look at a Radical church that controls unwitting members. *edit* the program has been moved to next Saturday. I've been tagged by Jake. Sorrow - Young Werther is quite caught up in this whole phenomenon. He is what the Soggy-Bottom-Boys would refer to as "a man of constant sorrows." And he's a in good company, Jesus was also a man of sorrows (Isaiah 53:3). Birds - You can flip them, leave your metaphorical seeds as food for them, my wife might have one if she sees Oprah in person, the worm is gotten by the early one, I was told by a little one, I was born as naked as a jay one, two of them can be killed with one stone, when they have the same feathers they flock together, one of them in the hand is worth two of them in the bush. Reciprocal - She's very sorry but her feelings for you just aren't, okay? You're a nice guy, though. Charisma - It once meant divine favour but now it's personal magnetism. I suppose you need divine favour to have personal magnetism. Not to be confused with charismatic, which means a raucous, highly disorganized church service which focusses on experiential Christianity. I shall tag Piet and Aaron with the following words: Subliminal, Abomination, Tirade, and Pretension. Little Owen Nicholas Langelaar was born today. "I'm a gonna take a just-a one step more 'cause I feel like bombin' a church. Now that I know that the preacher is lyin'. So who's gonna stay at home when the freedom fighters are fighting?" "Tell you what: now the people gather on the beach and the leader try to make a speech, but the Dreadies understandin' that it's too late: fire is burning; man, pull your own weight!" When the people are on the beach with their leaders it isn't because they want their leaders to enjoy the soft sand, but because they want their leaders to enjoy the warm water . . . and never come back. Bob Marley is often painted as this pot-smoking hippie who played soccer and wanted to live in peace with all humanity. Marley was a great singer and lyricist, but some people lose sight of his revolutionism and tough gangsterism. Marley garnered the nickname "Tuff Gong", not because he was a resilient bronze disc, but because of his fighting skills. He loved the image of the gangster rudeboy and rose to the top utilizing this toughness in combination with his raw talent. Marley was a good man, but he was not the flower-sniffing guru that some paint him as. He was a fighter, a womanizer, a rudeboy, and certainly not a saint. On Sunday, I heard something on the radio which I found fairly disturbing. On Ottawa's pop-radio station, Hot 89.9, I witnessed the teeth-gnashingly horrific music of Fergie (or Fergilicious as she calls herself . . . she can spell it for you over and over if you want). Fergie, in case you are unaware, is the bikini-clad woman in the bad beer commercial that is the Black Eyed Peas. One of Fergie's hits, the inexplicably stupid "London Bridge" is actually a rip-off of Gwen Stefani's vacuous hit, "Bananas." If you haven't heard of either song, you are blessed indeed. During the course of her interview, Fergie claimed to have been inspired by all types of music. This, presumably, includes a heavy dose of one particular type of music: namely crappy superficial music with no redeeming qualities. She also claimed to "love reggae." Why did I shudder so when I heard this? Is it because the result of pop music which appropriates reggae is often just souless tofu wrapped in a decent chocolate beat? I find the cultural appropriation of reggae by American pop stars interesting. Certain aspects of the reggae culture are accepted while others are entirely rejected. Red, green, and gold bracelets are readily appropriated by decidedly non-Rastafarian individuals like Gwen Stefani. The red, green, and gold which Rastafarians wear come from Ethiopia's flag. Ethiopia, of course, is the spiritual homeland of Rastafarians who believe that they should lead the repatriation to Ethiopia after the four hundred years of slavery in Babylon (America) are over. For Rastafarians, the red represents the blood of Africans spilt over the years by Babylon, the gold represents the wealth of Africa, and the green represents the beauty and vegetation of Ethiopia. Gwen Stefani, who likely has very little interest in Africa unless it provides the labour force for sweatshops for her fashion line, readily wears the three colours while she wails out her songs over ska, rocksteady, and reggae beats. I am not arguing that non-Rastafarians can't do reggae - they already have proven that they can do it quite well. But when was the last time that Beres Hammond wore the tri-colour around his wrist? Does UB40 ever drape themselves in Rastafarian imagery? Rastafarianism might be bizarre to most of the world, but using their religious symbolism as a fashion accessory is disrespectful. The troubles of Buju Banton also illustrate this selective cultural appropriation. Fifteen years ago, a teenage Banton recorded a song which has haunted him ever since. The violently anti-homosexual song, "Boom Bye Bye", was penned by someone else and voiced by the young Banton. The fact that Jamaican culture has a strong aversion to homosexuality and that Jamaican patois often reflects the violent reality of the street leads to more than a few violently homophobic songs. Beenie Man, Bounty Killer, Capleton, Sizzla, Elephant Man, TOK, Vybz Kartel, and Buju Banton have all been targeted by homosexual advocacy groups for promoting violence against gays. The respective representatives for informers, the pope, rival soundmen, the Queen of England, Osama bin Laden, and the Babylon system are not involved in the movement against these artists despite violent pronouncements against their persons. The day that Fergie or Paris Hilton start talking about killing a batty bwoy is the day that they have truly embraced all the aspects of the music . . . but I am being ludicrous, of course. Admittedly, "Boom Bye Bye" is juvenile, socially irresponsible, and tasteless. However, Banton is caught in a bit of quandary. If he apologizes for the song as his opponents demand he'll be seen as selling out by his people. If he doesn't apologize, gay advocacy groups will continue to picket every single show he has and work hard to ensure that his music does not receive any major radio or television play. 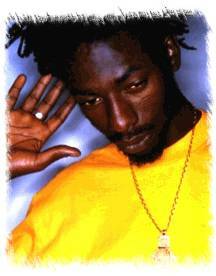 Buju Banton has not made any more violently anti-gay songs. In fact, the vast majority of his catalogue over the last decade includes songs that are positive, uplifting, and thoughtful. The remaining tunes are harmless love songs. The supposed goal of the gay advocacy groups is to stop violent music. I would submit that a better way to get through to the reggae community would be through dialogue rather than attacking the music and culture. The attacks against Buju Banton act as a wedge which drive the two sides even further apart. The point I am trying to make, however, is that while genuinely talented reggae artists like Buju Banton are having th eir voices muted, other less talented individuals are cashing in. 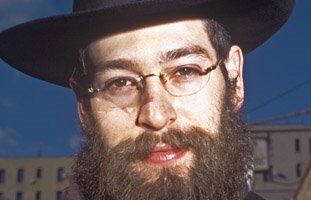 Recently, the Hasidic singer Matisyahu has gained a lot of attention. 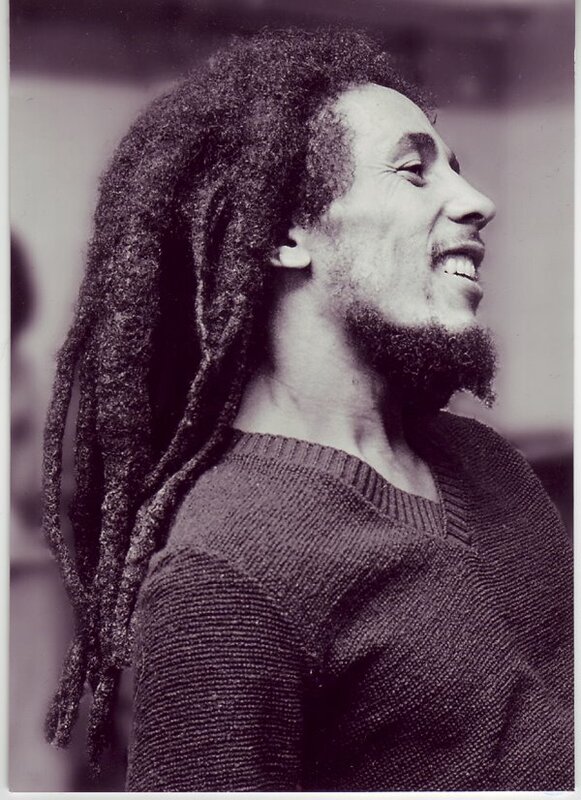 Some of his fans are clamouring about the second coming of Bob Marley and other such nonsense. If a Hasidic Jew spitting lyrics in very very poor Jamaican patois is good reggae then the genre is in a lot of trouble. The New Tork Times' Kelefah Sanneh addressed the over-enthusiastic Matisyahu fans this way: "Perhaps Matisyahu's fans aren't familiar with a little-known group of performers who still make great reggae records: Jamaicans." ooch. Matisyahu aside, I believe that non-Jamaicans can and do make great reggae music. Artists such as Alpha Blondie, Seeed, Tryo, Lucky Dube, Gentleman, UB40, and Tyken Jah Fakoly all make wonderful reggae music. Reggae has reached around the world from Latin America to Africa to Europe and even Japan. The problem is when the form of reggae is adopted without the soul or when the masters are ignored in favour of the imposters.